Let’s be honest: The costs to replace a roof can be daunting. And no one wants to spend large amounts of money unnecessarily. But if your roof is missing shingles, leaking, or showing other signs of disrepair, that means it’s time for a new one. Just because you need to replace the roof on your home in Alpharetta, though, doesn’t mean the project has to be cost-prohibitive. There are several steps you can take to help lower the expense of your home improvement project while still ensuring a quality job. Consider these five tips to minimize your roof repair costs. Prices for materials can certainly add up, but another big component of roof replacement costs is labor. To compare prices, ask for quotes from multiple roofers and make sure you understand exactly what’s included. 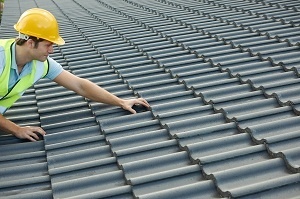 Then research the different roofing companies by checking references and online reviews. And remember that while a really low quote may seem appealing, it could also signal lower quality work, so be cautious with any bid that seems too good to be true. 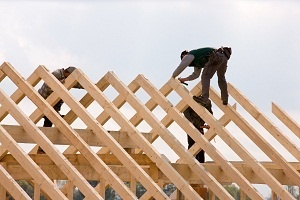 Obviously, warmer weather is the prime season for roof replacements. But contractors can work year-round as long as the temperatures are mild enough to ensure their safety. To cut back on costs, consider scheduling your project in the winter or early spring to take advantage of any seasonal savings. Even if you’re not an experienced roofer, there are likely some aspects of your roof repair project that you can take on yourself, such as removing the old shingles, as long as you have the right tools. If you decide to so some of the work, tell your contractor up front and ask how much you can save on labor by handling certain tasks. While normal wear and tear on a roof isn’t covered by homeowner’s insurance, some incidents can give rise to a claim. If your roof needs to be replaced due to damage incurred in a storm, for example, it’s worth reviewing your policy to determine what the insurer will cover to replace the roof. Just be aware of any deductible you must meet to get a complete picture of the replacement costs. The life of a roof can last up to 30 years. But there will come a time when a new roof is necessary. And when that happens, be sure to follow these five tips to help control your roof replacement cost in Alpharetta.